Today! Rappcats Record Sale: Joe from Fat Beats Friends & Family Sale! More than 20 years after the release of the album, Kool Keith & Dan The Automator did their first live shows as Dr. Octagon at The Independent in San Francisco and the Teragram Ballroom in Los Angeles. They were joined by DJ Qbert who was a critical part of the original album (and Del the Funky Homosapien in SF and Mix Master Mike in LA). 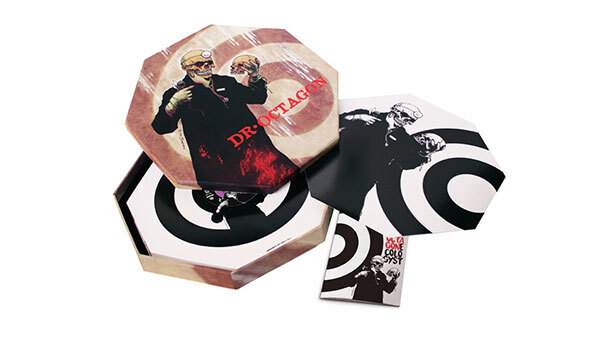 You have one more chance to catch them when they perform at Soundset in May which coincides with a deluxe box set of Dr. Octagonecologyst (Get on Down). Check out a couple of videos from the LA show (these had the least amount of people’s heads and singing along).